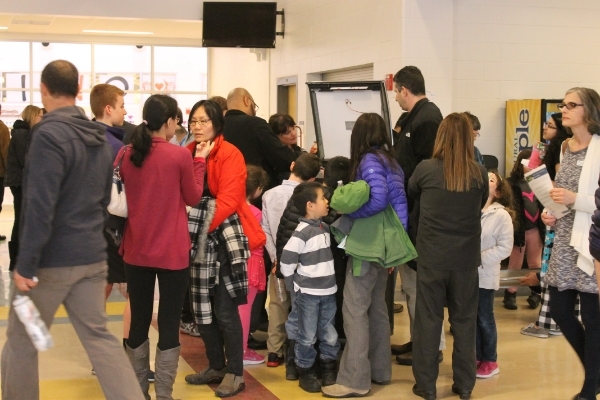 Students and parents crowd around an open Bigbelly station to explore what's inside during Newton Mayor's STEM Night hosted at Newton North High School on Monday, March 30, 2015. 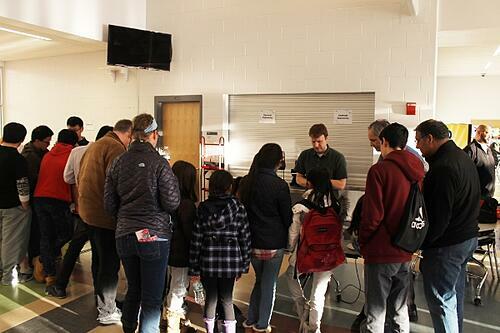 The Mayor's STEM Night is just one medium intended to "draw together Newton parents, educators, students, and STEM professionals to develop Newton students’ interests and abilities in the areas of Science, Technology, Engineering and Mathematics (STEM)." 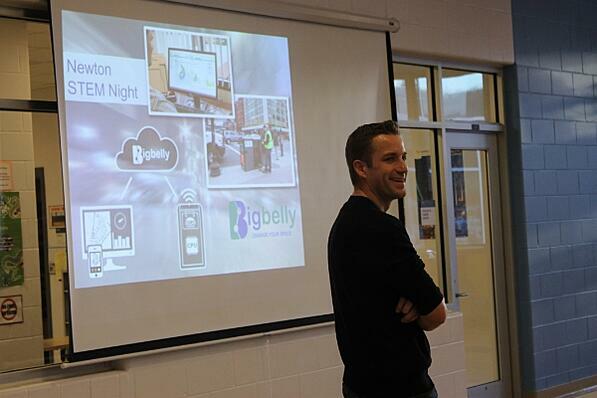 Bigbelly's co-founder and current Chief Engineer/Product Manager, Jeff Satwicz, shared the Bigbelly story and his experiences persuring an education and career path focused in STEM. Jeff is a Newton North High School graduate and was able to offer a relatable story for the aspiring students in attendance. Following Jeff and Mayor Warren's regards, attendees participated in interactive, hands-on tables to learn about different parts of the Bigbelly system and the jobs of our employees who work in technology and engineering. 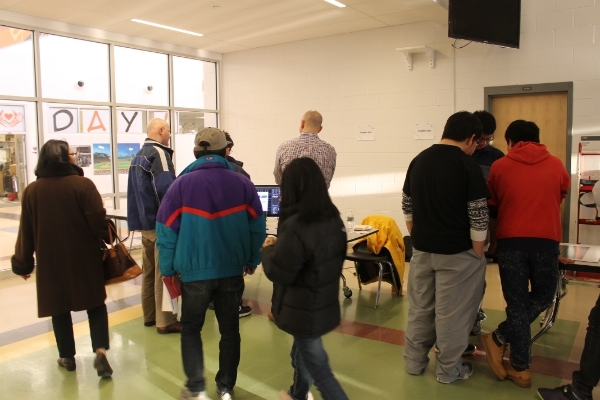 Members from our engineering team manned the tables, taught people about the technology and their day-to-day job, and fielded the students questions - which were very insightful and impressive! After the event we caught up with Jeff Satwicz (pictured above) at the Bigbelly office and captured some insights from here. 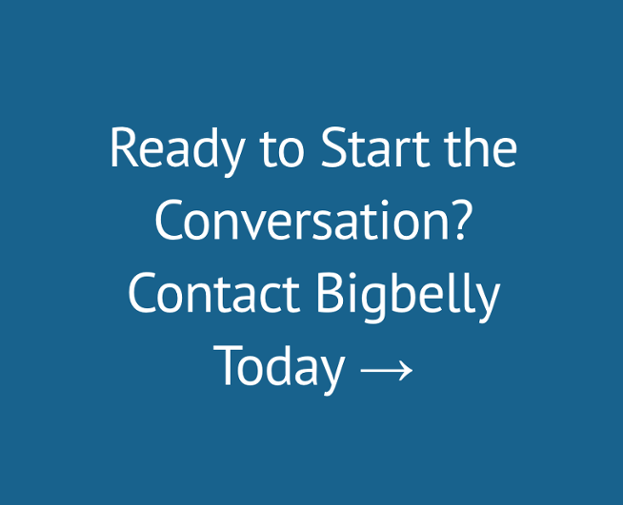 Read on to hear more from the co-founder of Bigbelly himself. Q: What made you realize you wanted to pursue a career in STEM when you were a high school student? A: I had always liked playing with mechanical objects. From a young age, I liked Legos and other similar toys. I thought engineering was about making the next cool thing for a Sharper Image catalog and I thought that would be a fun career. It was only later in high school and early college that I really learned about all the ways that an engineer can impact the world in extremely positive ways. Q: What type of hands on STEM learning did you experience? Did this make a big impact on developing your passion for technology? 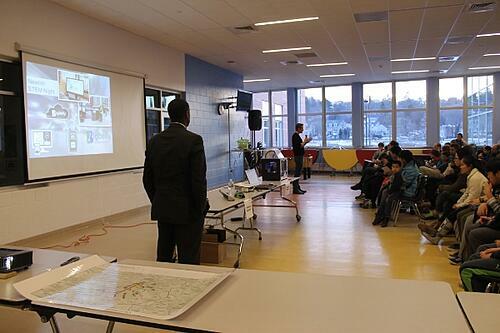 A: During high school, I followed a newly developed engineering track for all four years. This involved robotics, engineering design and a capstone project. All the classes were extremely hands on. I also took automotive classes which I feel had a huge impact in giving me the background to have a deeper understanding of mechanical design. I feel like the more familiar I get with technology, the more it fascinates me and the more passionate I get about finding ways to use it and improve it. From a STEM standpoint, it's incredibly important to give students introductions to technology so they can better understand the world around them. Q: What was one of the challenges you faced in conceptualizing the first Bigbelly? A: Creating enough energy to power the Bigbelly was the biggest technical challenge we faced early on. We were told that it was impossible to make a solar-powered trash compactor – there simply wasn’t enough power. We set out to prove the nay-sayers wrong. To do so, we had to completely reinvent the compaction mechanism, the electronics and the software logic that runs the compactor. The foundation we put in place with the BB2 machine is still what the BB5 operates on today. (Plus some really cool and useful bells and whistles!) The analogy we made was that a bulb on a Christmas tree string uses as much energy in an hour as a Bigbelly does in an entire day, including compacting the trash. It really shows the amazing depths to which we went to eliminate wasteful energy and let us operate in very low sunlight areas of the globe. 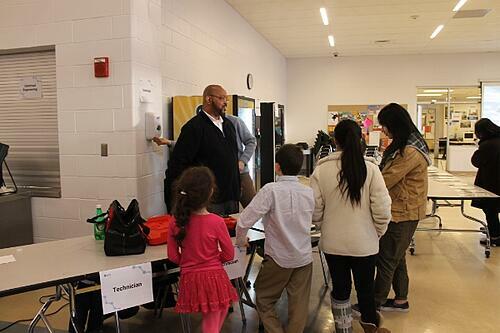 Q: What was your favorite part of the STEM Night’s interactive table sessions? 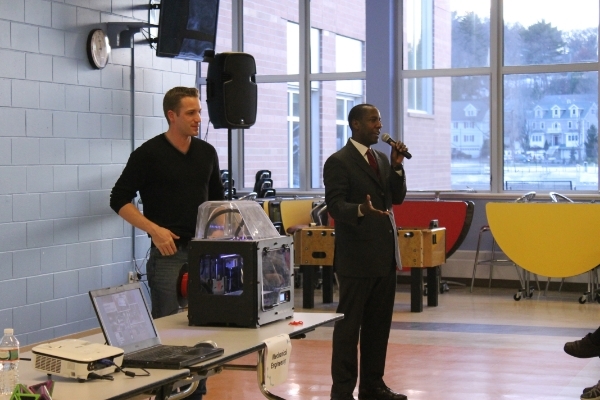 A: I had a lot of fun showing the students about using the CAD software. We started with a simple circle and they added ideas upon ideas to make a winged, sword carrying Pinocchio, riding a kangaroo. Q: Any words of wisdom for students interested in pursuing STEM studies or careers? A: The common perception is that someone needs to be a star student in math and science to pursue a career in a STEM-related field. While it's often important to do well in those classes, it's also incredibly important to get out from behind the textbook and find ways to get a hands-on understanding of the world of technology. Whatever field is of interest, students should find ways to “play” in that subject. If it's computers that interest them – take old computers apart on the weekend and put them back together. If it's software – learn to make an app that can do something useful for the student. 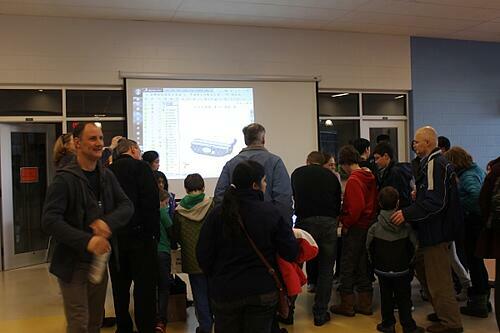 If it's mechanical – build a remote controlled car. It’s amazing how useful the knowledge I’ve gained from those sort of activities has been in my career.